Have a project that needs organizing? and need help to keep at it? and would like the support and encouragement of others to get into action. and help each other keep focused on our tasks! Group has a maximum of 10 members and is now filled. If you are interested in a group like this, please be sure to let us know, and we will start a new section! Park Slope. Address sent to registrants. 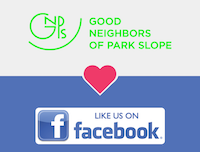 For accessibility information, please contact the host or Good Neighbors of Park Slope.